Learn more about this important project Thursday, November 30 at 5:30 pm at the Schlafly Public Library (255 North Euclid). 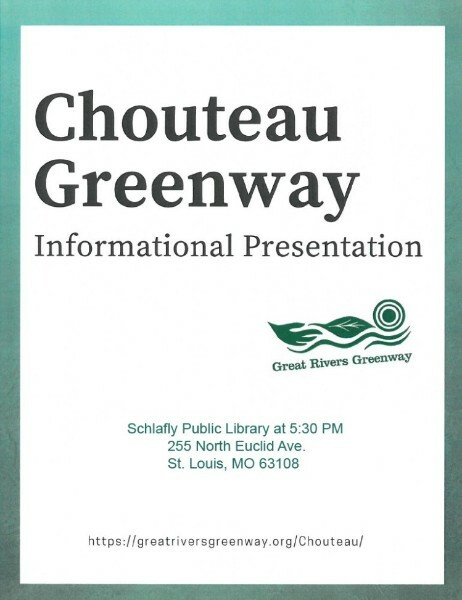 See what the planners have in store for the Chouteau Greenway, and what progress they have made so far. Learn more and take the survey here.